Hey guys i was wondering if you can help me with my project. 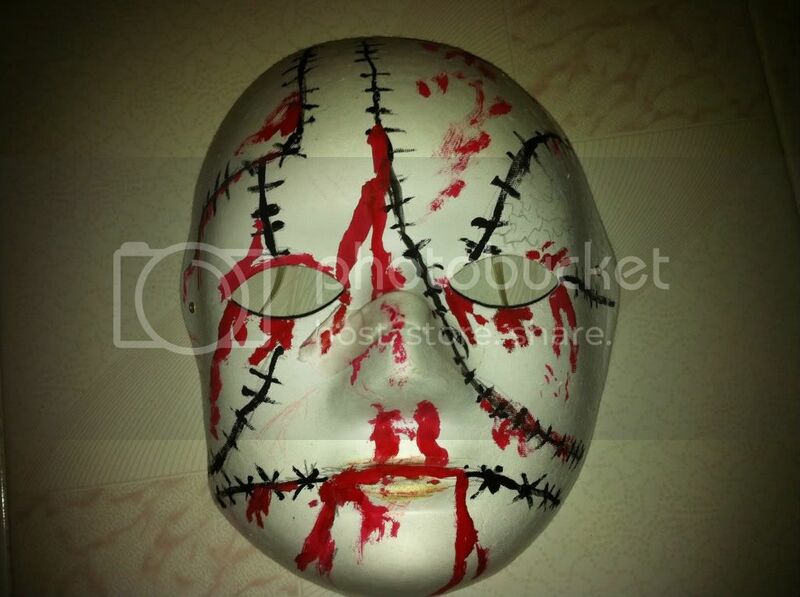 we have a project to create masks and not just plain masks but ones that look generic and complicated. my theme is horror. my sir likes it but says to add accessories such as the bandage i put on the nose. what do you guys think i should do? my friend told me to put a brides face cover on it and make it a creepy one. i think thats creative but would like more advice. so what do you guys think i should do? i dont know because i want it to look natural and creepy. bullets are painful too but not so creepy.